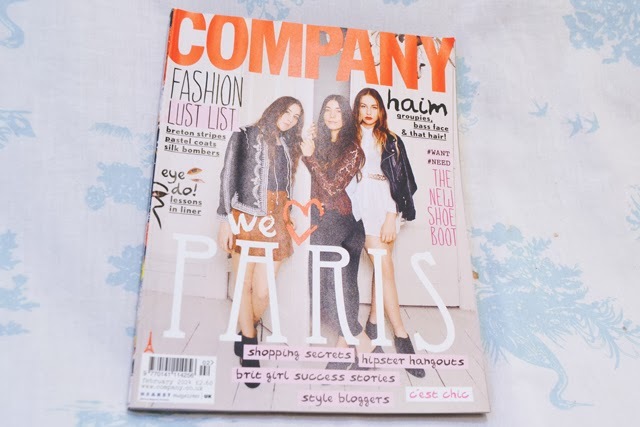 After last month's quite boring issue, I hoped February's would be a little more interesting. It doesn't have to be infuriatingly bad. A really great issue would please me just as much. All I wanted was something of interest. Luckily for me (and you), I got plenty of material to work with. Woohoo! I really, really like the cover this month! It's a lot more simple and less cluttered than usual. Yes, there's still a couple of hashtags but at least they're small and tucked out of the way. 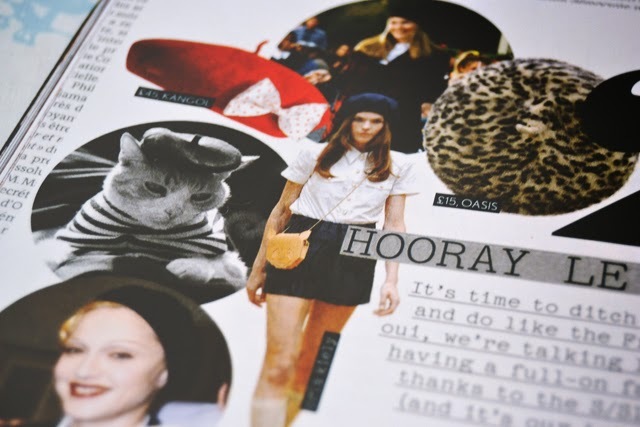 I absolutely loved Jameela's column this month! She explains that, now she's in love, she apologises all the time and writes a list of apologies for her partner. I have to agree- I probably say sorry to Rich at least 5 times a day! These tips on wearing a beret were useful to me. I bought a beret two years ago but I had no idea how best to wear it. 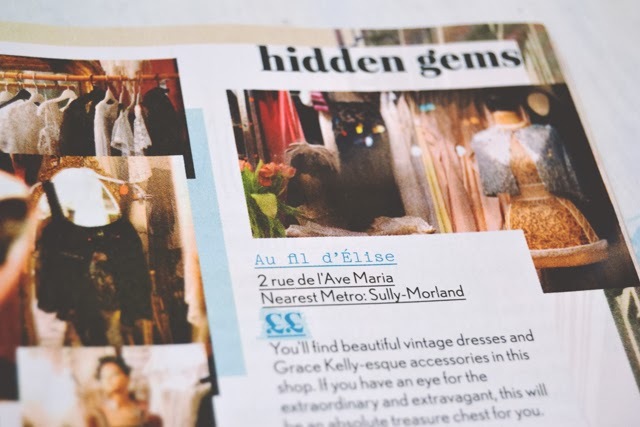 A list of the best vintage hotspots in Paris. I'm going to be keeping this article in a safe place for future reference. It might be a little try-hard ("Banksy's cool, right? 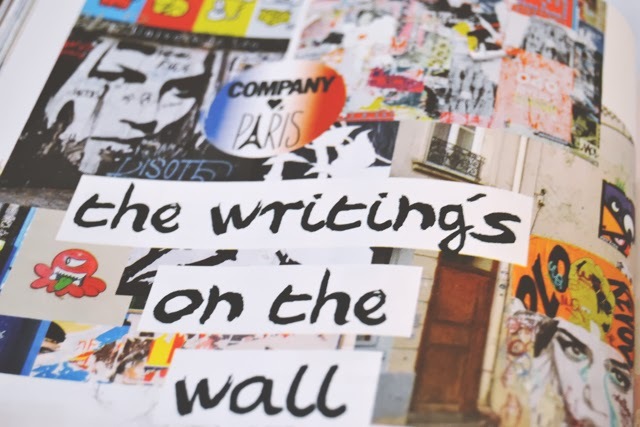 "), but I did like this article about French street art. I'm all for promotion of art. I totally disagree with positive discrimination. 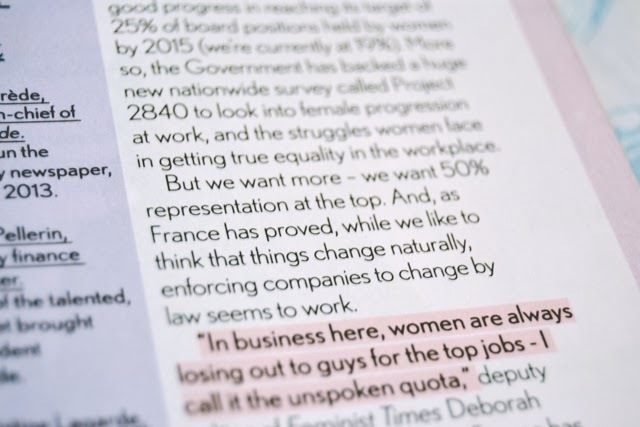 This article campaigns for 50% of women in the boardroom. Of course we need more women at the top but I cannot agree with putting someone in a top position because they're a woman. That makes no sense. I'm all for meritocracy: Assign jobs based on merit, not on gender. I have to admit, I started to get really bored of the whole "Paris issue" thing halfway through. 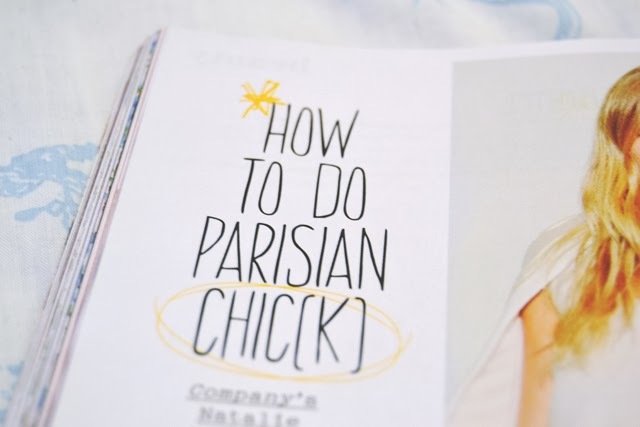 It started to feel a bit desperate- Shoehorning Parisian references into every single article and using French turns of phrase wherever possible. As an example, this is Charlie XCX. She is from Stevenage and, as far as I can tell, has absolutely no link to Paris. 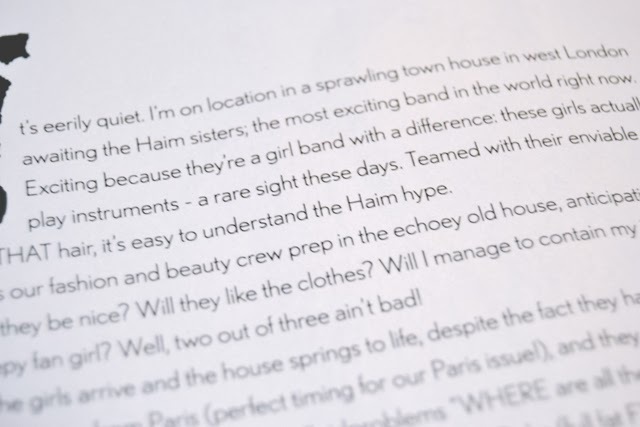 Proving they're one step behind the rest of the pack with a massive article on Haim. 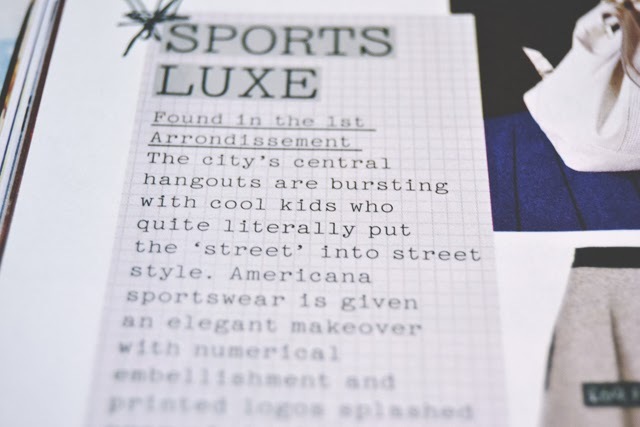 "Cool kids who quite literally put the 'street' in street style". Literally? How does that work then? Are they made of tarmac, peppered with spots of chewing gum and fag ends? No, Company! These are NOT macaroons. These are macarons. If you're going to do an issue all about the French capital city, at least learn the difference between French and Italian confectionery! Wait! What's with the "[k]"? Was there something wrong with the word "chic"? Is this a pun? Is the article about chickens? No. I guess we'll never know. I can't agree more with you about the women in the boardroom thing! Surely the best people for the job should have it, not someone because of their gender or ethnic minority just to fill a quota. If the best person is not a white male, then good for them, but denying the most talented people of a job because the company wants to appear more diverse makes no sense! I should put on my CV "I am female, so if you put me in a top position it will make your company look good." I just can't understand the logic of putting someone in a top position solely because of their gender. It makes no sense! Haha oh GOD Company. I'm not a fan of young women's magazine's in general (though give me a copy of good housekeeping and you won't see me for hours... I'm a wild child I know) but Company is such a mixed bag. I love the aesthetic and their articles on things like art and bands and travel and women with great careers... but then they try so hard to be 'hip' they start coming across like someone's leather trouser and Hawaiian shirt wearing uncle. Bless. 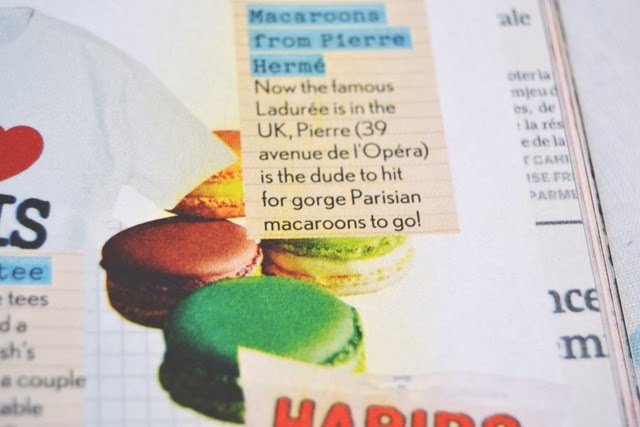 And if one more person calls a macaron a macaroon I will have to wrestle them into a bag and hit them with sticks. Haha I'm the same! It's just so desperate! The macaroon vs macaron thing bothers me so much! Especially when people go to Ladurée and say they have the best "macaroons". Maj lols - Is this when the queen is in hysterics? Macaroon v Macaron bothers me intensely. The Chic(k) thing too because I don't quite get it. Maybe I'm just not cool enough. 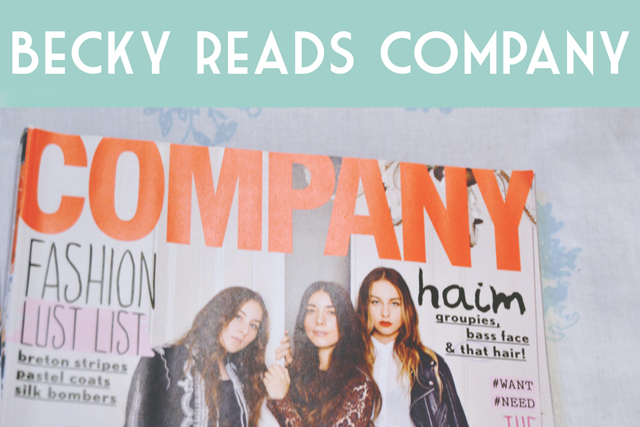 I love Company but it's so hit and miss and they try so hard to be the 'bloggers magazine' that it ends up being a waste of time and money when I could actually read blogs written by people with more understanding of journalism than these journalists. 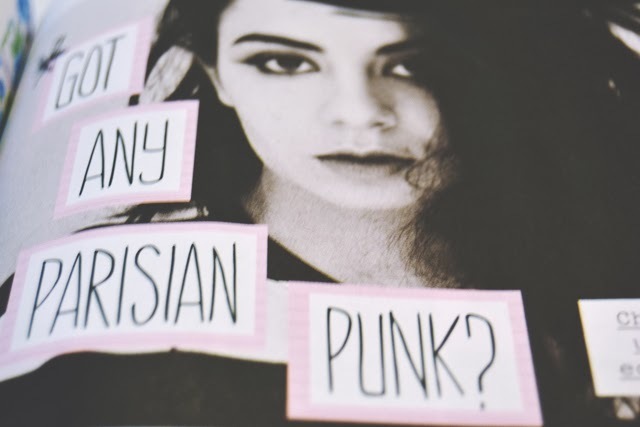 It's kind of like a magazine written by sixth form girls desperate to be cool. How can anyone who calls themself a writer have such a terrible grasp of the English language? This made me laugh so much! I've given up with Company a long while ago now unfortunately! I think a lot of people have. They should pay attention to their readers.